There are three different levels of kitchen – a great value entry-level range, a mid-range and a luxury range. So, however high or modest your budget, we have a high-quality, beautiful kitchen that’ll be perfect for you. The C Collection is very flexible and can easily be adapted to the space you have available. It includes two different heights of units to fit in with the design of your home and provides ergonomic workstations for you, however tall or short you are. Units come in different depths, from 35-66cms, so you can maximise storage space according to how much space you have in your room. There is also the option of whether or not you prefer handles, grip ledges or handle-free units with TIP-ON technology (power-assisted doors and drawers that open with just a light tap). And there are 12 different colours to choose from. The design of the units means you can be as creative as you like, knowing that whatever you decide, they will all fit together perfectly. Schüller also produce different accessories that are designed to fit in beautifully with your C Collection kitchen. 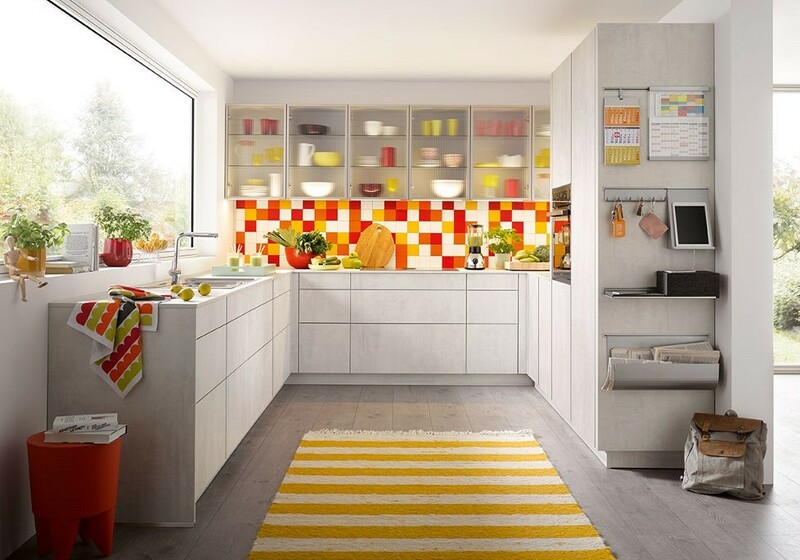 These include wine racks, crate-style drawers to keep vegetables in, corner base units, wall panels from which you can hang your kitchen utensils or put up a spice rack, and shelving. You can also personalise your units with lift-up doors, a hidden sound system, concealed sockets, frame-racks, illuminated drawers, drawer inserts and partitions, and waste-sorting. Schüller have even thought about the way you cook, and have produced a holder for your tablet to hang from your wall panels so you can keep it away from your preparation area and check your recipes as you prepare your food. Schüller’s latest addition to the C Collection are units that have been specifically designed for utility rooms. They have been designed for all aspects of modern life, giving you specially-made storage areas for recycling, laundry, cleaning products and whole cupboards dedicated to the storage of shoes! All the C Collection ranges are made to be hard-wearing and long-lasting. Surfaces are made with high-grade water-based lacquer that not only makes them hard-wearing but also satisfies ecological standards. 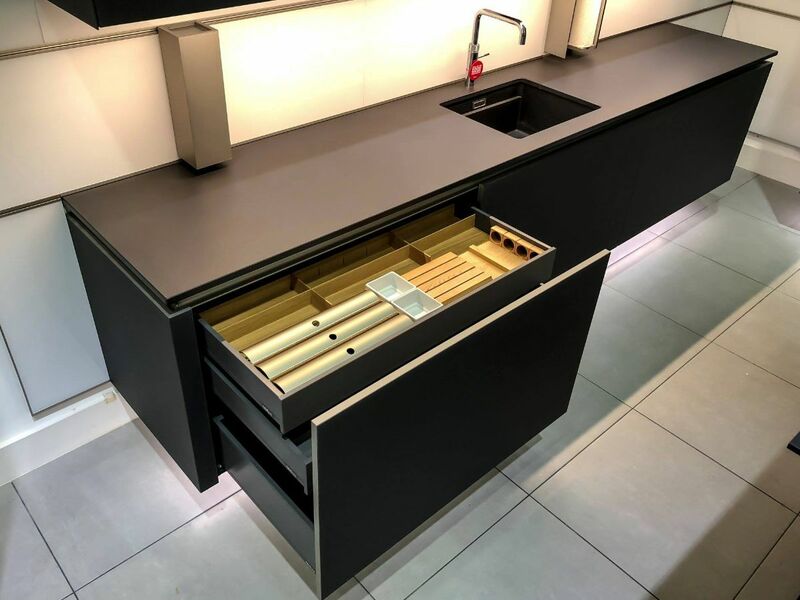 Drawer frames have powder coating to make then wear-resistant, and units are strengthened with stabilising brackets, wall-unit mounts with large load-bearing capacity, and tilt protection guards. All Schüller kitchens have been certified by independent bodies that undertake a variety of stringent quality assurance tests. 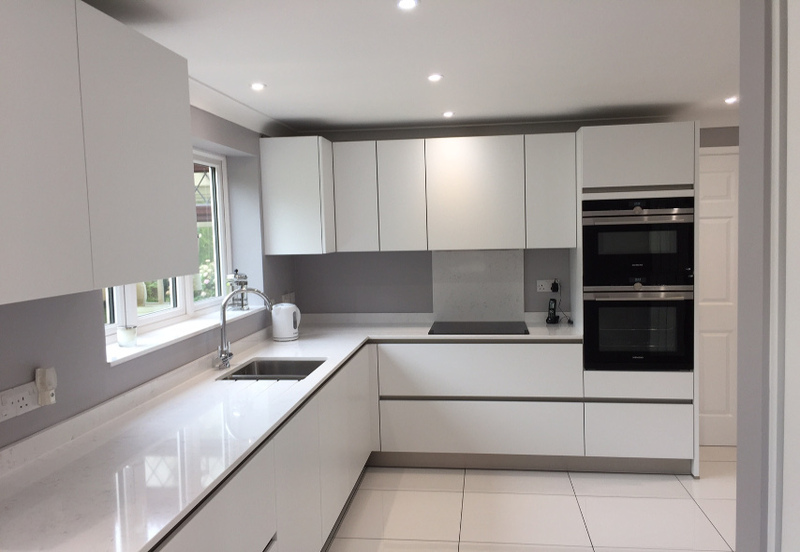 If you are interested in finding out more about the Schüller C Collection, come and see it for yourself at our Cheshunt kitchen showroom and talk to our experts about your ideas and needs for your new kitchen.